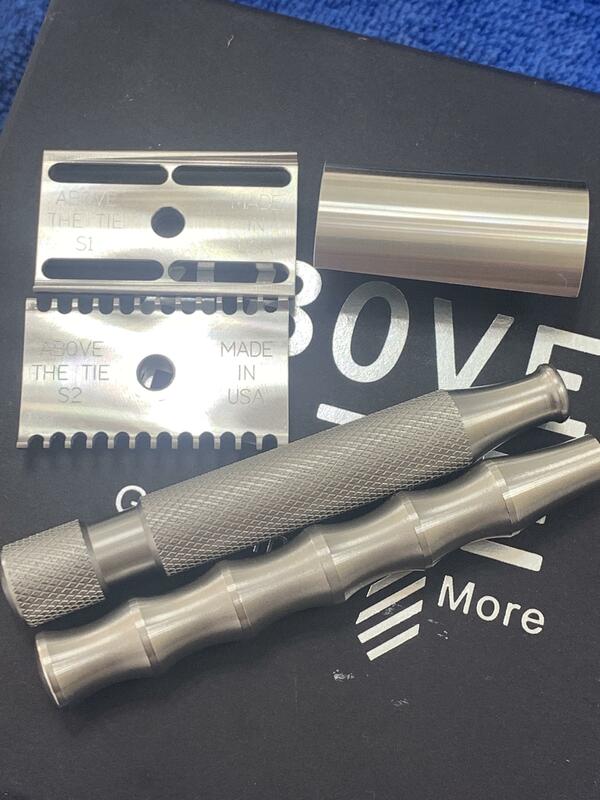 I have an excellent condition Above the Tie slant razor for sale. Included will be the S1 and S2 plates, (1) top cap, (2) handles, and the box. I am asking $120 shipped for this and at this time, will not part it out. Delivery to the US only at this time. Will trade for a Timeless .78 bronze or towards a Timeless .95oc in SS. Make other trade offers if interested in this. 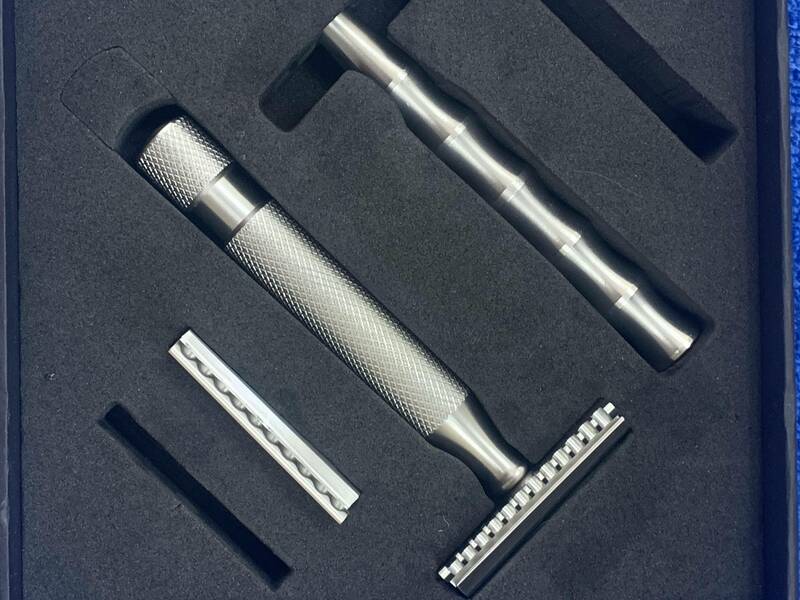 For me, this is a super smooth shaver with either plate but I prefer just a tad bit more efficiency. I agree, the ATT S1/S2 are easily the smoothest most efficient Slants I’ve ever used. If I didn’t already have my own I’d be all over this. If you’re on the fence, do yourself a favor and snap this up while you still can. Its a modern Classic that is currently out of production. Slant open comb plates are on the ATT site now for $58.00 and the slant caps are listed for $73.00 and are in stock but I didn’t see any complete razors or the slant closed comb plates. I believe Stan was migrating all his razors to the Windsor platform. (01-21-2019, 02:15 PM)SCShaver Wrote: They stopped making these??!!! I had read on TSN that Stan was migrating everything over to his Windsor line, so if I’m understanding that correctly, these will no longer be produced.